Product prices and availability are accurate as of 2019-04-04 03:03:46 EDT and are subject to change. Any price and availability information displayed on http://www.amazon.com/ at the time of purchase will apply to the purchase of this product. 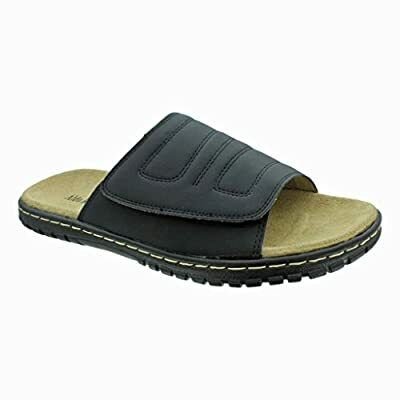 The perfect complement to your wardrobe, these handsome slip-on sandals from Aldo Rossini are perfect for casual days at work or hanging around town in comfort. These stylish sandals a classic look with vegan leather uppers. Cushioned insoles and for added comfort. Easy on and off. All manmade materials.